In the Netherlands, KPN customers will be able to share a portion of their own home bandwidth in exchange for free access on shared broadband connections of other KPN broadband customers in the Netherlands and Fon customers in other countries. A separate WiFi signal will be created for the part of the broadband connection that will be shared with other customers, which guarantees a safe home network for the individual KPN customer. Fon has already deployed over 7 million WiFi access points with several other telco companies around the world. Through this partnership, KPN enables its customers access to get global WiFi coverage in countries such as the Belgium, France, UK and Japan. Moving forward, Fon aims to have over 50 million shared connections in its international network within a couple of years to the benefit of KPN customers. The public WiFi network will enable access in and around houses where shared connections are operational. The public WiFi network therefor is complementary to KPN’s mobile and fixed network with over 1,500 HotSpots in the Netherlands. This step is in line with KPN’s aim to offer its customers internet access in a way that satisfies their needs best. KPN expects to test the WiFi network within the next half year. The commercial launch is planned for later this year. KPN is the leading telecommunications and ICT service provider in the Netherlands, offering wireline and wireless telephony, internet and TV to consumers and end-to-end telecom and ICT services to business customers. In Germany and Belgium, KPN pursues a Challenger strategy in its wireless operations and holds number three market positions through E-Plus and BASE. KPN provides wholesale network services to third parties and operates an efficient IP-based infrastructure with global scale in international wholesale through iBasis.  Fon was founded by CEO, entrepreneur and internet pioneer Martin Varsavsky in 2006 with the goal of free, ubiquitous WiFi for everyone. Today Fon is the largest WiFi network in the world, providing WiFi at over 7 million hotspots in more than 100 countries. Fon partners with the world’s leading fixed and mobile telcos, hardware manufacturers and service providers, all who share the vision of a global WiFi community. Fon’s growing list of telco partners includes Belgacom, BT UK, MTS Russia, Oi Brazil, Netia Poland, SFR France, SoftBank Japan and ZON Portugal. Fon’s investors include Atomico, British Telecom, the Coral Group, Google, Index Ventures, Sequoia Capital and Skype.